David Allen Feddern was born on March 23, 1964, in Norfolk, NE, to Ronald and Janelle (Zierke) Feddern. He was baptized on April 6, 1964 by the Rev. Robert Harms at Zion Lutheran Church in Pierce, NE. On March 19, 1979, he was accepted as an adult member of Zion Lutheran Church in Pierce, NE through the public Rite of Confirmation by the Rev. Walter E. Buss. After graduation from Pierce High School in 1982, he attended the University of Nebraska-Lincoln, earning a Bachelor of Arts degree in History, and his commission as a Second Lieutenant in the United States Air Force on May 10, 1986. He also earned a Master of Arts degree in Political Science from Colorado State University in Fort Collins, CO in May 1992 while serving on active duty. On February 14, 1987, he was joined in marriage to Deanna Lynn Rockemann at Faith Lutheran Church in Lincoln, NE by the Rev. Mark Degner. To this union two children were born, Miranda, on August 26, 1992, and Kelby, on January 23, 1996. Deanna graduated from Concordia Teachers College (now Concordia University-Seward) with a Bachelor of Science degree in Education, majoring in Business Education. Miranda will graduate in May 2017 with a Nursing degree from Northeast Community College in Norfolk, NE. Kelby is currently a junior at Concordia University-Seward, majoring in Environmental Sciences and a member of the Bulldog football team. The Fedderns were members of Faith Lutheran Church in Lincoln, NE from 1986-1987; Our Savior Lutheran Church in Cheyenne, WY from 1987-1993; Faith Lutheran Church in Lincoln from 1993-2006; St. Paul’s Lutheran Church in Cambridge, NE from 2006-2013; and Immanuel Lutheran Church in Atkinson, NE from 2013-2016. David served on active duty in the U.S. Air Force from 1987-1993 as a Missile Combat Crew Commander and Emergency Actions Officer in the Minuteman III nuclear ICBM weapon system at the 90th Strategic Missile Wing (SMW), F.E. Warren AFB, WY. He was medically retired from the Air Force in May 1993, and the family returned to Lincoln, NE. David was employed by the Nebraska Department of Roads (NDOR) before leaving for seminary. In June of 2003, he began his studies in the Alternate Route—Certificate in-residency program at Concordia Seminary—St. Louis, MO and completed his Resident Field Education requirements at Immanuel Lutheran Church & School in Olivette, MO. Vicar Feddern was placed at St. Paul’s Lutheran Church at Cambridge, NE upon his graduation from Concordia Seminary to a serve a one-year convertible-call vicarage in June 2005. On July 2, 2006, he was Ordained and Installed as pastor of St. Paul’s Lutheran Church in Cambridge, where he served from 2006-2013. He served Immanuel Lutheran Church—Atkinson, NE and Immanuel Lutheran Church—Butte, NE from June 2013 to his installation at Zion Lutheran Church-Hampton on December 18, 2016. 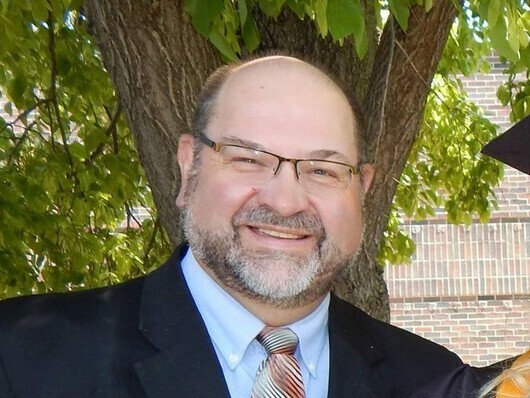 Pastor Feddern enjoys all types of small game, upland bird, waterfowl, and big game hunting, target shooting, reloading, fishing, gardening, lawn care and other outdoor activities with his family.